We're delighted that you're thinking about joining our FREE community! Joining is simple -- you simply need to choose a member screen name (this is how others identify you), choose a password, and provide a valid e-mail address. Please take a moment to read our message board community guidelines at the link below and then indicate that you agree with them by checking the box below labeled "I have read and agree to abide by the PassPorter Message Board rules." If you'd like to cancel the registration process, click here to return to the forums index. PassPorter Message Board Guidelines -- Click to review our guidelines and rules which govern the PassPorter community. Thank you, and we look forward to welcoming you into our community! P.S. You don't need to own a PassPorter travel guidebook to participate in our community -- all are welcome! 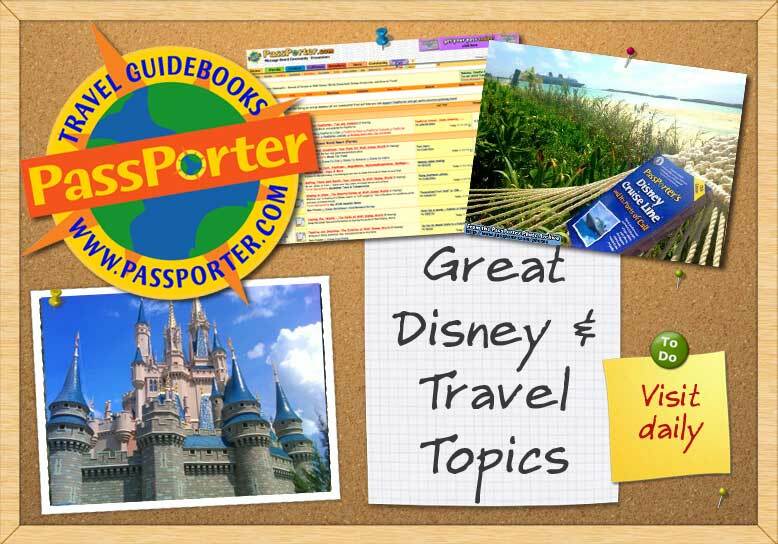 If you decide you want one, however, we offer all registered members of our message board a 30 percent discount on PassPorter guidebooks when purchased through our online store. Your coupon will be available under the "My Home" link after you join our community and login.